I don't know about you but I love learning toys. I like for my son to play with toys that will pick at his brain, make him ask questions, or want to learn something new. Two weeks ago we took a trip to Moody Gardens, Houston, TX. We had a blast learning about animals, aquariums, and ecosystems. Discovery Kids toys are a perfect fit. This Fall, they will be introducing new items designed to inspire our kids to be creative and have fun while learning about animals, nature, science, and technology, just like on their Discovery Kids Network. Want a sneak peak at the new items? 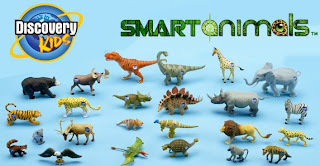 Smart Animals Eco-systems, a new way to collect, build and play with a full set of miniature animal habitats. Each collectible Eco-Systems playset features a unique animal figure contained in a themed "hex-cubed" habitat with interchangeable accessories, and a scannable diorama card with animal information. Once you have created your miniature habitat, you can collect more and connect them in almost any direction to build your Eco-Systems world. Each of the diorama backgrounds can be scanned with the Discovery Kids Smart Animals Scanopedia (sold separately). These mini habitats include zebras, elephants, lions, and many others. Discovery Kids Yuck Bugs. My son loves playing with bugs. I think it is a phase each kid goes through, it's a kid thing. So if your kids like playing with bugs this toy is perfect for them. Now they can build their own bugs. Squeeze the larva sacks to release the slimy plasma and bug parts. uuuuhhhhh, icky, sticky, but kids love them. Pick out the parts from the plasma and create a replica of a real bug or create a completely new species. Discovery Kids Safari Scope. This toy takes the action outdoor and explore our world. It is an innovative telescope that uses a comfortable, binocular eyepiece to make viewing easy and fun. It also features a collapsible tripod stand and a shoulder strap so you can take it with you on your outdoor adventures. Expand your animal kingdom with Smart Animals™ Figures! Collect them all and use with the Discovery Kids Scanopedia™ Electronic Talking Animal Encyclopedia (sold separately) to bring your favorite animals to life! Interactive Smart Animals figures let you hear unique animal sounds, learn fun facts and play exciting games when you use with the Scanopedia. Just touch the logo on each figure to unlock the fun with the Scanopedia Electronic Talking Animal Encyclopedia! Discovery Kids Smart Animals and Scanopedia products were nominated for Educational Toy of the Year and named a Toy Wishes "All Star" in 2008. 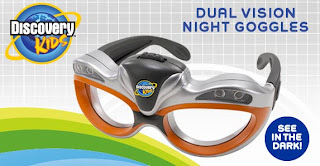 Take your Discovery adventures into the dark with these Discovery Kids™ Dual Vision Night Goggles. There’s 2 exciting ways to see in the dark: Green Glow & Flashlight! 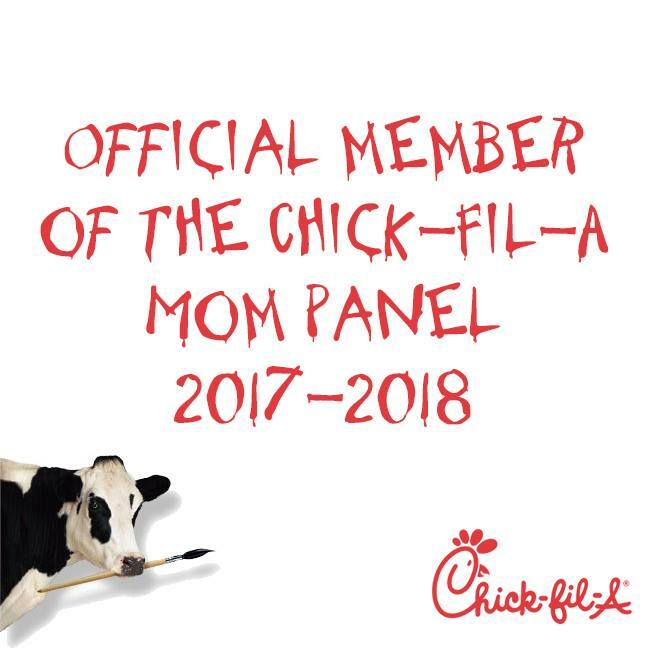 Back to school is just around the corner. Let's get our kids back into the roll of things. With Discovery Kids toys our kids will learn and discover while playing. Thanks to JAKKS Pacific for sending Matt a Discovery Kids Smart Animals Eco-systems. He will be starting his collection this Fall. kids always like these kinds of toys. Laserpegs.com also provide Laser toys, Unique toys, Creative Toys etc.